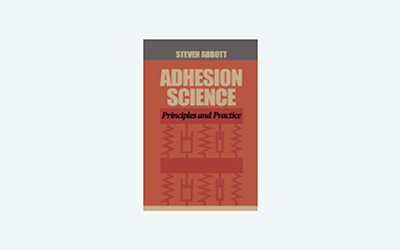 Here we have two useful little apps of relevance to the adhesion formulator. The first looks at how surface energy affects not the coating itself but how thin coatings are more vulnerable to pinholes. The second looks at whether your liquid adhesive has a chance to flow into small structures (fibres, pores) via capillary forces. This means, unfortunately, that thin coatings (small h) are much more prone to pinholes than thicker ones. So a coating that might be defect-free at 20μm might be full of holes when coated at 10μm even though nothing else about the system had changed. For thin coatings you either need much greater cleanliness (less defects to start with) or a lower contact angle. As you will see (t is in μs) when you put any reasonable numbers into the app, capillary filling is generally more than fast enough for most reasonable depths so isn't a great concern.